Frances and Flair: National Flip-Flops Day! Unless you're off to work in a corporate attire walking hastily in high heels under the stifling heat of that enormous round thing above, summer doesn't seem like a good idea. Now imagine basking in a bikini at the beach, your toes in Havaianas wriggling in the sand, thinking how the heck on earth can earth and its seasons be so amazing! Life is truly better in flip-flops and Havaianas is giving you a sweet deal so you can grab a new pair for the summer season. All flip-flop styles are on a 20% discount just for one day at select participating retailers nationwide. Too busy to go out? Get your flip-flop fix at shophavaianas.ph. Free shipping on all orders just on National Flip-Flops Day. 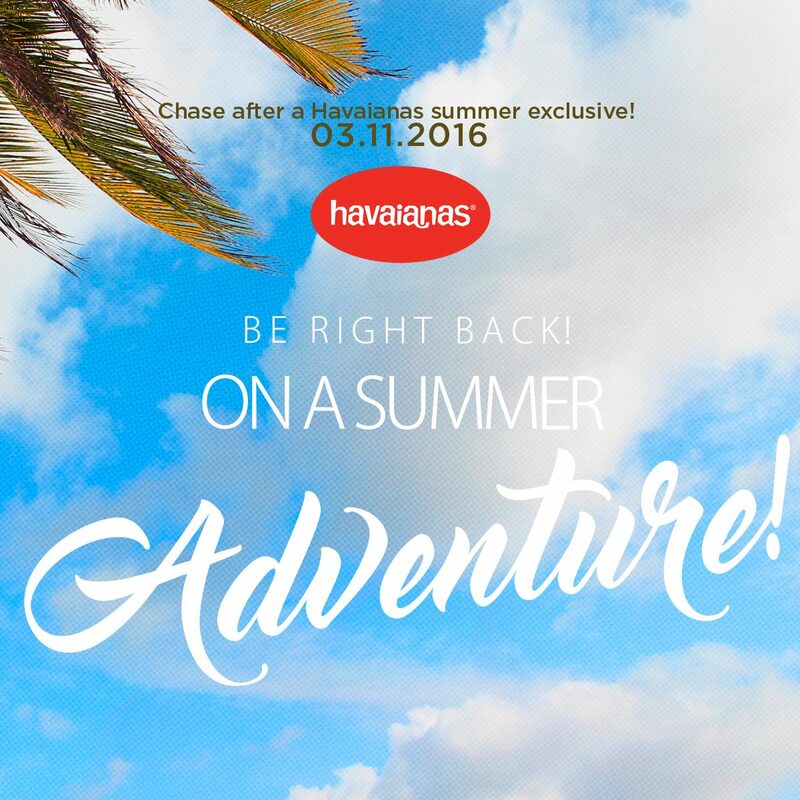 This summer, it's time to chase your adventures with Havaianas! For 2 regular priced pairs or Php 1,500.00 worth of Havaianas merchandise, customers can avail of the bag for only Php 395.00. 1. Take a photo, a video (maximum of 15 seconds) or a Boomerang, of your selfeet wearing any original Havaianas pair. 2. 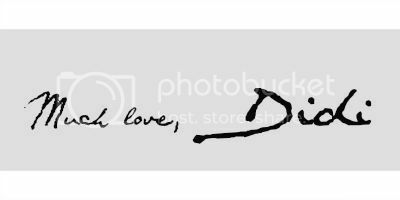 Upload it on Instagram from March 1 to 11:59 pm of March 11, 2016. 3. 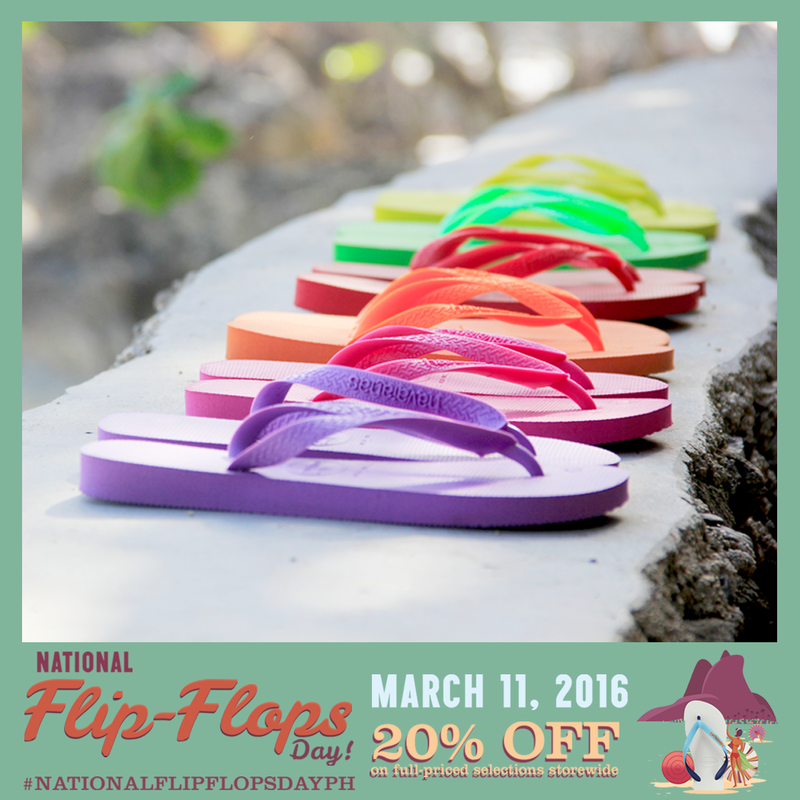 In the caption, put “MARCH 11 is #nationalflipflopsdayph! 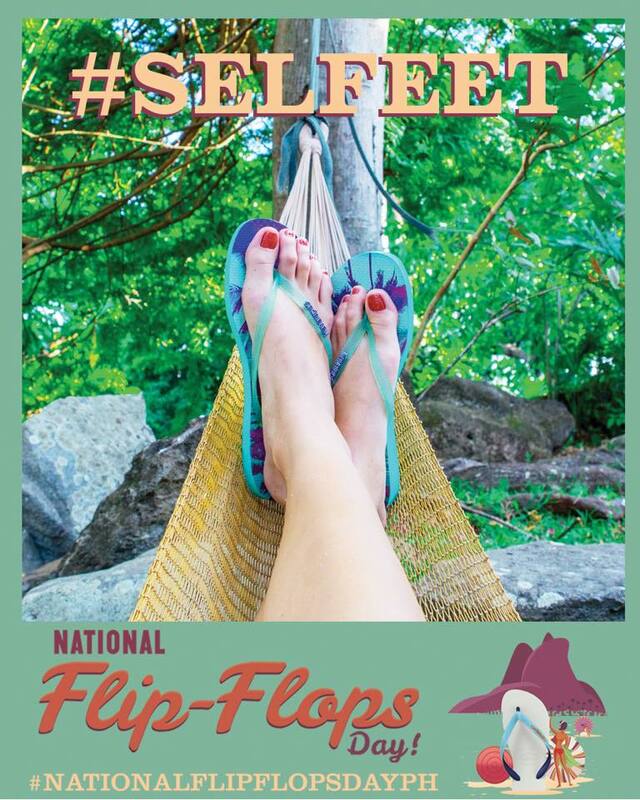 #selfeet ‪#‎HAVthebestsummerever‬”. 4. Tag @havaianasphils in both the caption and the photo. 5. Participants can send as many entries as they wish. 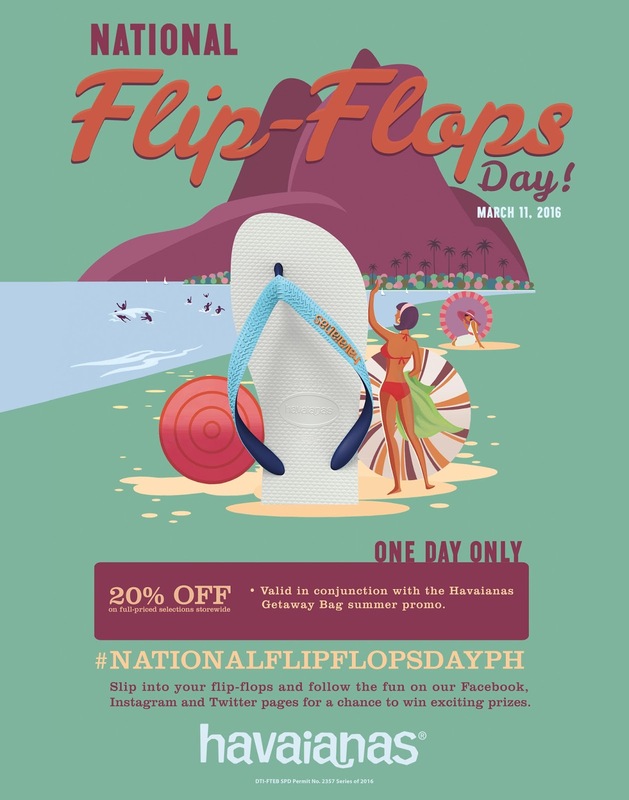 For updates regarding National Flip-Flops Day, check out Havaianas Philippines on Facebook, and @havaianasphils on Twitter and Instagram with the #nationalflipflopsdayph hashtag. To shop online, visit www.shophavaianas.ph. What are your plans for the coming Summer Daze? Would love to hear about it on the comment box below! Bukas na! National Flip-flop day! I hope the outlet near me join with the promo so I can buy and join the contest. Hi Yami, all PH outlets will be goining the promo. Don't forget to share your selfeet! Waaa! My mom brought my Havaianas all the way to Malaysia! Too bad I can't join. Love wearing flip-flops...casual and easy going. March 11, hmm that is tomorrow! Enjoy. I so love flip-flops!!!!!!!!!!!! It's always tempting to buy more than what you can actually use :( Sometimes I'm lured of wanting to have different colors, haha. Cool! I'm a big fan of Havaianas since 2006.. I just wish the quality 10 years ago is still the same today.. Still I'm a fan and will check this out. Thanks! I love Havaianas since then. I think I bought a black one from my money 2 years ago and I was surprise that I can use it until now. Yaaaassss. Havaianas is all about the quality! Thanks for visiting Dorothy! No offense meant, pati pala flip-flops may national day na, haha! But it's a good marketing concept specially that summer is here! I will try to wear one and by some for my mom! !